the quality or state of being worthy, honored, or esteemed. Go to Liberia. Serve as a Dignity Advocate. Your caring presence, your smile, or your hug can bring a kind of healing that medicine alone cannot. Women who have suffered with fistula are in desperate need of kind, authentic, human connection. Often outcast from family and community, part of the healing journey for these women includes regaining the self-esteem that comes from being valued by others. As a Dignity Advocate™, you can offer these sacred gifts in-person. When you travel to Liberia, you’ll spend time in pre- and post-operative care units, getting to know women and hearing their stories. You’ll see some of the challenges faced daily by healthcare providers in this recovering nation. You’ll visit local orphanages and spend time giving love to children who will repay you with joy. Most of all, you'll be forever changed, knowing that you have played a small part in restoring what these women have lost: dignity. Please let us know if you are interested in serving as a Dignity Advocate* providing your contact information below. Thank you. While costs can fluctuate, on average the cost involved in serving as a Dignity Advocate is approximately $3,200.00 (includes vaccinations, passport, visa, food, lodging, and air/ground transportation). Most trips are scheduled to last two weeks. *Please note: A completed Dignity Advocate application, travel waiver, and attendance at an informational meeting are all required for consideration as a potential team member. I want to know more about serving as a dignity advocate. I have served as a Dignity Advocate at least once before. No, I have never been a Dignity Advocate, and I do not personally know anyone who has. Someone I know has served as a Dignity Advocate. IF YOU CAN'T GO, GIVE. Travel to Liberia is costly, both in time and money. If you are unable to travel as a Dignity Advocate, consider helping someone else to go in your stead. "Meeting the bright, very well equipped students at Phebe gave me great hope." From April 1-14, 2017, I had the privilege to serve alongside a team of people passionately committed to caring for the women of Liberia, doing their part to bring an end to obstetric fistula. As a labor & delivery nurse, I had been learning about the devastating maternal mortality rate in Liberia for the past 10 years. 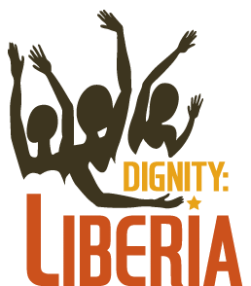 I literally tripped onto the Dignity: Liberia website about a year ago, and had my eyes opened to the horrific role obstetric fistula plays in the loss of mothers and newborn lives in Liberia. I had no idea. Meeting the young women at the Phebe Fistula Rehabilitation Center was really incredible. They greeted us with hugs, smiles and faces filled with hope. Though our team performed no fistula repairs on this trip, we were able to give much needed hygienic supplies to the ladies and many materials for the baking, tailoring and cosmetology training the women are receiving. My favorite moment was seeing the ladies change into their new dresses! It was a humbling moment that such a simple gesture could mean so much. Another major highlight of the trip for me was the privilege of teaching in the Phebe School of Nursing and Midwifery. Reviewing obstructed labor, a major cause of fistula, and role playing community health education on the topic of obstructed labor was tremendous. The key to ending fistula is multifaceted, which includes the education of girls, the prevention of malnutrition, early marriage and childbearing. Included in this picture are the strategic placement of Maternity Waiting Homes, for rural women to come in closer in their final weeks of pregnancy, to be overseen by skilled midwives. And finally-the equipping of hundreds of skilled midwives to care for the women of Liberia. Meeting the bright, very well equipped students at Phebe gave me great hope, knowing that soon these students will soon fan out across Liberia, changing lives with their excellent care. The day spent at Charles Luke Town was another very special occasion. Our vehicles were met in the streets with women dancing their greeting! Several villages and their clan leaders gathered in the local church to thank Dignity: Liberia for their assistance with an agricultural project and for their major assistance during the Ebola crisis. The singing, dancing, speeches and prayers culminated in a walk to the community gardens where hundreds of cucumbers were ready for harvest, eggplant is thriving and pepper plants were growing up into the sun. Having read, for so many years, of the devastation in Liberia, I was overwhelmed, at times, by the hope I saw springing up at every turn. It was a joy to be a part of Dignity: Liberia, being the hands, feet and hugs of Jesus to the precious men women and children of Liberia.